Get Social!, presented by Perry Productions, is a regional all-day event scheduled from 8 a.m. - 5 p.m. on Thursday, April 11 at Great Wolf Lodge in Concord. 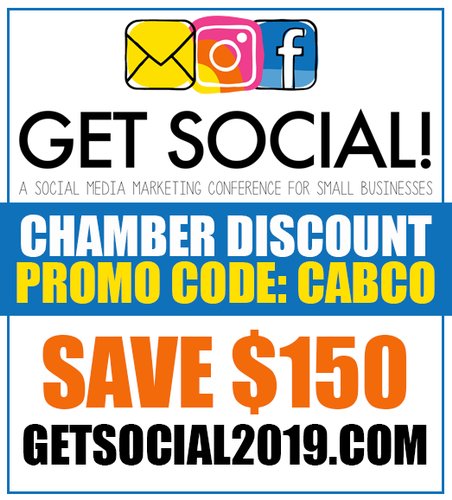 This year's topics will include hands on Instagram training, video, email and generational marketing as well as the latest trends and tips that Lisa Perry will bring back from the March Social Media Marketing World conference in San Diego. The conference is $429, however Cabarrus Regional Chamber of Commerce members receive a discounted rate of $279 with the promo code: CABCO. This event is produced and presented by Perry Productions. The Cabarrus Regional Chamber of Commerce proudly sponsors this event in order to provide top quality, affordable and impactful educational opportunities to members.